The EVH adventure with NexVex goes back over two years ago—when NexVex was just a twinkle in the eye of founders Will Bazeley and Dave Kish. These two passionate business entrepreneurs saw a need in the marketplace and went for it, business planning and strategy, identifying target markets, and acquiring the funding needed to launch their venture. 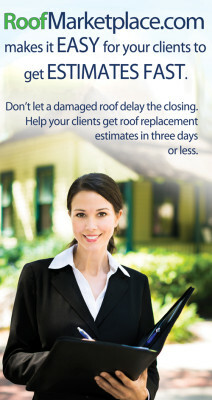 NexVex provides a convenient way for homeowners to submit a request online for estimates to have their roof replaced. 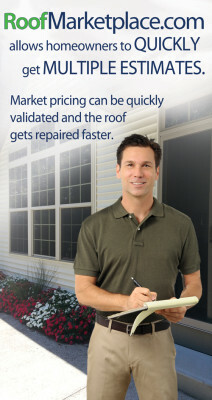 The NexVex Roof Marketplace springs into action, providing the homeowners request along with accurate aerial measurements of the home to local, qualified contractors. Within 72 hours, the contractors submit estimates which are sent to the homeowners to review and select. 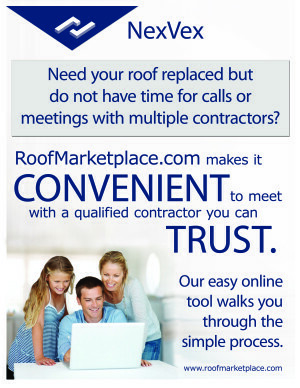 A unique and incredibly time-saving way to get your roof replaced. EVH has helped out with marketing brainstorming, concepts, presentation materials, marketing planning, copy writing, graphic design, and strategic marketing advice. Now that the website has launched and the company begins to roll out its services across the country, EVH is filling the role of virtual marketing director, designer, advertising consultant, print manager, and online marketing. The updated website was launched in August 2013 and continues to grow.